Google has long been focused on artificial intelligence. Its Google Now and voice assistance projects have used AI to better the lives of users. The Google Home voice-based hardware unit brings its assistant to life, making traditional inputs and displays unnecessary. With just the power of your voice, you can interact with the device -- nothing else is needed. The search giant has decided to take artificial intelligence to the maker community with a new initiative called AIY. This initiative (found here) will introduce open source AI projects to the public that makers can leverage in a simple way. 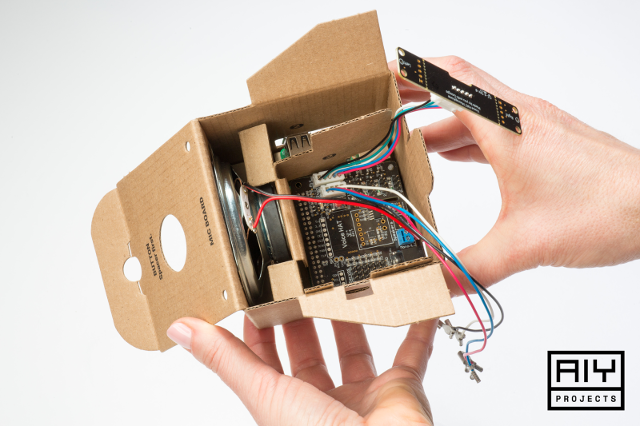 Today, Google announces the first-ever AIY project. 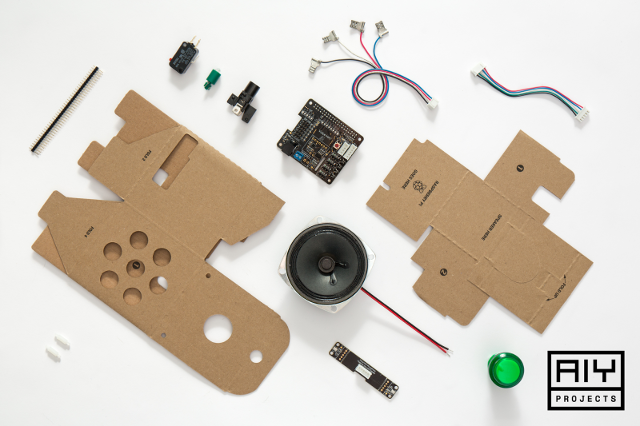 Called "Voice Kit," it is designed to work with a Raspberry Pi to create a voice-based virtual assistant. Please keep in mind that the Pi itself is not included, so you must bring your own. For this project, you can use a Pi 3 Model B, Pi 2, or Pi Zero. Want a Voice Kit? Here's how to get it. Heck, you might be getting one for free and you don't even know it. "The first open source reference project is the Voice Kit: instructions to build a Voice User Interface (VUI) that can use cloud services (like the new Google Assistant SDK or Cloud Speech API) or run completely on-device. This project extends the functionality of the most popular single board computer used for digital making -- the Raspberry Pi," says Billy Rutledge, Director of AIY Projects, Google. 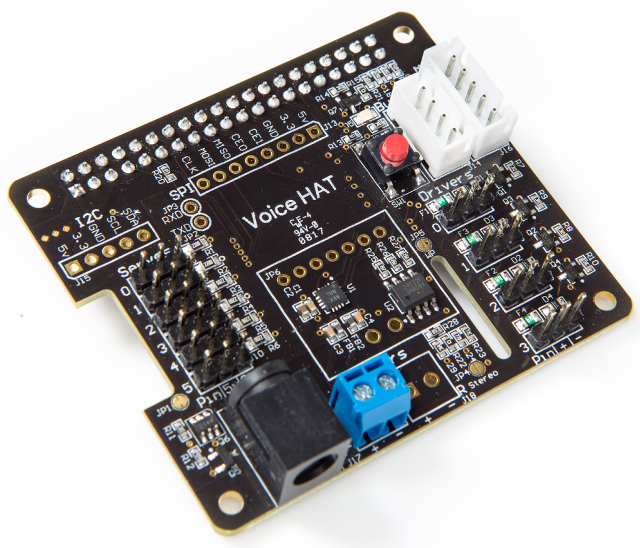 Rutledge further explains, "The included Voice Hardware Accessory on Top (HAT) contains hardware for audio capture and playback: easy-to-use connectors for the dual mic daughter board and speaker, GPIO pins to connect low-voltage components like micro-servos and sensors, and an optional barrel connector for dedicated power supply. It was designed and tested with the Raspberry Pi 3 Model B." Google shares some potential uses for this particular AIY project below. Add voice recognition to assistive robotics (e.g. for accessibility) -- just talk to the robot as a simplified programming interface, e.g. "tell me what's in this room or "tell me when you see the mail-carrier come to the door"
If you want to score yourself one of these kits, you can actually get it free -- if you are an existing subscriber to MagPi Magazine, that is. It will come packaged with the latest issue. Not a subscriber? Don't panic. If you are in the USA, you can soon purchase it from a Barnes and Noble retail location. If you are across the pond in the UK, however, you have more places from which to choose -- Asda, Sainsburys, Tesco, and WH Smith. Pricing and availability is not yet known. The contents of the kit are listed below. Will you be getting the Google Voice Kit? What types of projects do you anticipate making? Tell me in the comments below.